Ships with TSO-C142 battery for use in aircraft. 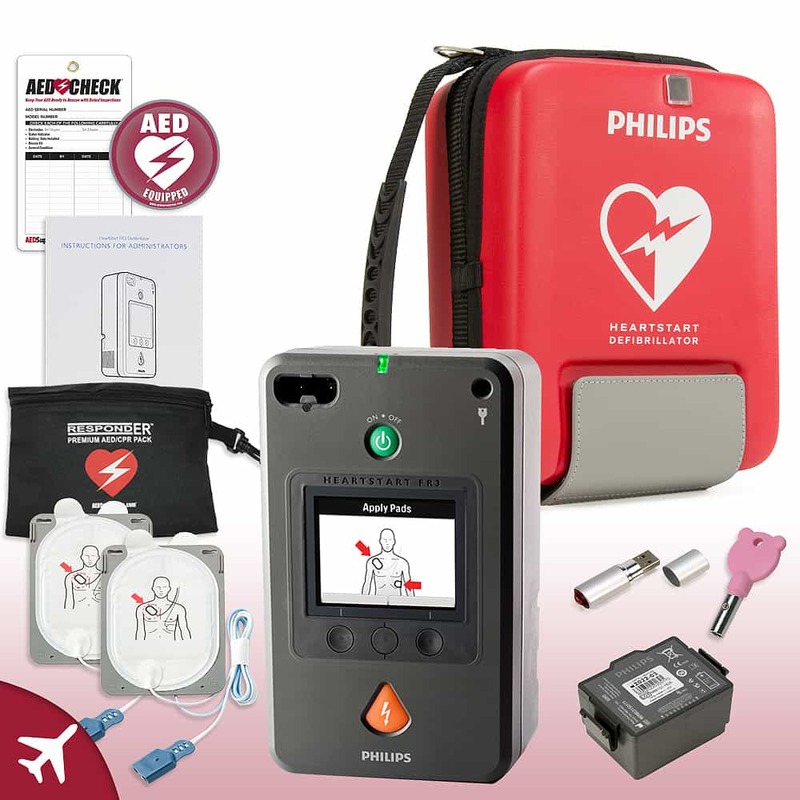 Infant/Child Key - Converts the FR3 into a pediatric defibrillator. The key can be used over and over again. USB to IrDA Adapter for Windows PCs - This adapter allows the AED to communicate with your PC.